When a storyteller adds a plot twist to create tension, this can be referred to as a “turn of the screw.” In the case of tonight’s opera, the piece is already eerie by virtue of being a ghost story. But two ghosts? A turn of the screw. And they torment children? A turn of the screw. And the audience must witness an innocent boy embody this story? Tighter, and tighter the screw turns—eliciting our fears and anxieties; creating nightmares for us to contend with long after we leave the theater. As Seattle Opera crafts this terrifying (and exhilarating!) 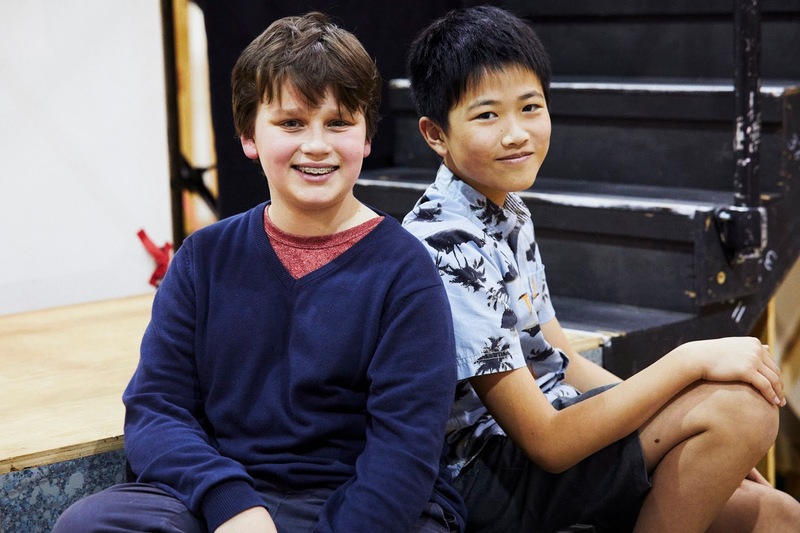 tale on stage, it will be in a large part thanks to two 13-year-olds: Rafi Bellamy Plaice and Forrest Wu, boy sopranos who alternate as the haunted lad, Miles. It’s rare to see leads this young in opera. Even the characters Hansel and Gretel are sung by adult singers, and the other child character in The Turn of the Screw, Miles’s sister Flora, is also typically sung by an adult—in the case of this production, soprano Soraya Mafi. Unlike in ballet or theater, in Seattle Opera's production opera singers in their 20s and 30s are still considered to be at the beginning of their careers. So it was unusual that composer Benjamin Britten created roles for significantly younger voices. In other ways, it’s different. Children process things differently than adults, Der Hacopian says. “Their parents need to be considered. 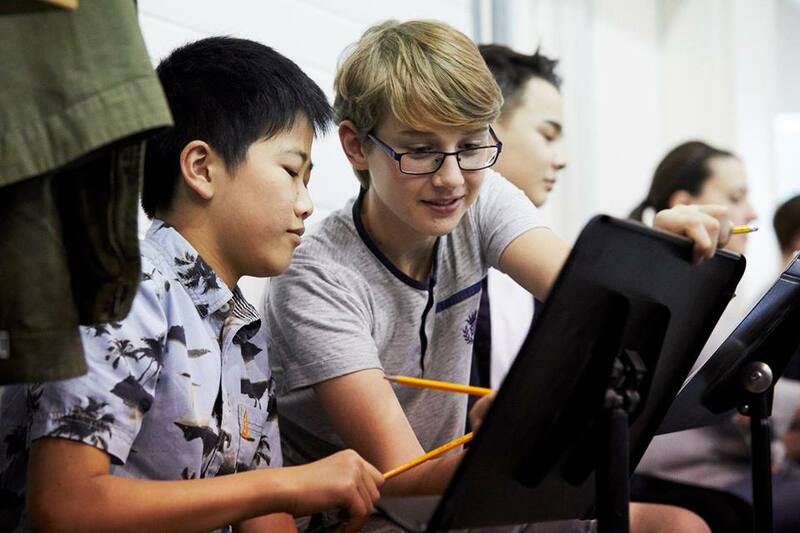 And, oh yeah—there’s also something called school.” Another challenge to casting Miles, or the Three Spirits in The Magic Flute, is that it can be challenging to find gifted young singers. Prior to Seattle Opera’s The Turn of the Screw, the company sent out an international casting call for Miles. Performers from near and far responded, and the two young men selected were Rafi Bellamy Plaice of England and Forrest Wu of Seattle. Wu, along with many of the performers cast as the Three Spirits, had previously participated in Seattle Opera’s youth programs, another channel the company uses to discover young singers. For Plaice, son of mezzo-soprano Marcia Bellamy, classical music is genetic. As a baby, he matched his mother’s pitch with coos and squeaks as she sang to him in his crib. 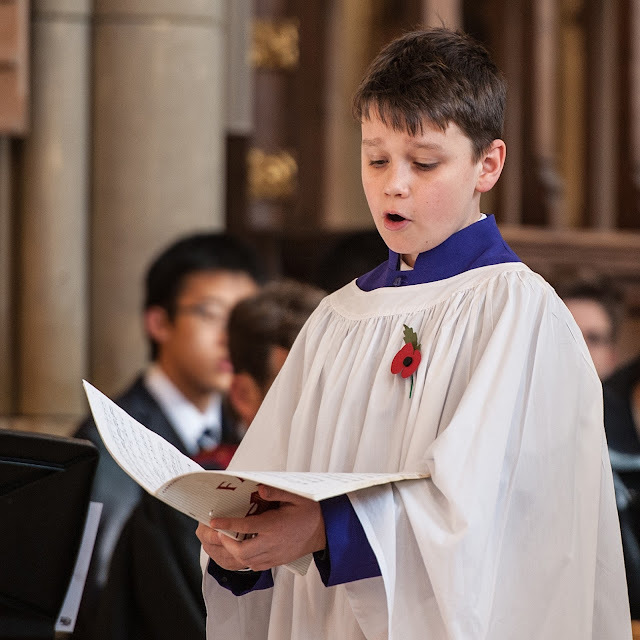 Now as a young teen, he recently won the BBC Radio 2 Young Chorister of the Year and released a debut album, Refiner’s Fire. Not bad for someone who’s not even old enough to drive. While Seattle Opera was gearing up for its production of Porgy and Bess, Plaice traveled to the United States, where he performed Leonard Bernstein’s Chichester Psalms with Boston Symphony Orchestra at the Tanglewood Festival. Rafi Bellamy Plaice of England sings Miles in The Turn of the Screw. In contrast, Forrest Wu’s path to performing was unexpected. For one, the teen was extremely shy as a young child. His mom, Gloria Chen, remembers a preschool event where the kids were supposed to sing together. “Forrest was too afraid to even utter one note,” she says. Somehow, the timid boy got involved with Northwest Boychoir in first grade, and his confidence grew. Since then, he’s performed at Benaroya Hall with the Seattle Symphony and recorded for the soundtrack of “Golem,” an upcoming PlayStation 4 video game. Ironically, it’s his mom who now gets nervous before his shows. The Turn of the Screw marks the mainstage role debuts for both young men. However, Wu is actually no stranger to the McCaw Hall stage. During Seattle Opera’s 2017 The Magic Flute, the singer got his first taste of performing in an opera through his younger sister, Stella. As a supernumerary, she played a non-singing role as one of Papageno’s little chicks. Watching his sister from backstage, Wu noticed that some of the opera singers were children not much older than himself. “I saw the Three Spirits and I was like ‘Oh, that’s awesome.’ So then I auditioned to be a boy soldier in Aida, which was really fun because there were lots of other kids,” he said. After Aida, Wu wasn’t looking for any big auditions. But then his family received an email about auditions for The Turn of the Screw. He tried out. Now, he’s doing something that usually only adults get to do—making a Seattle Opera debut. Miles is a big part in terms of stage time. 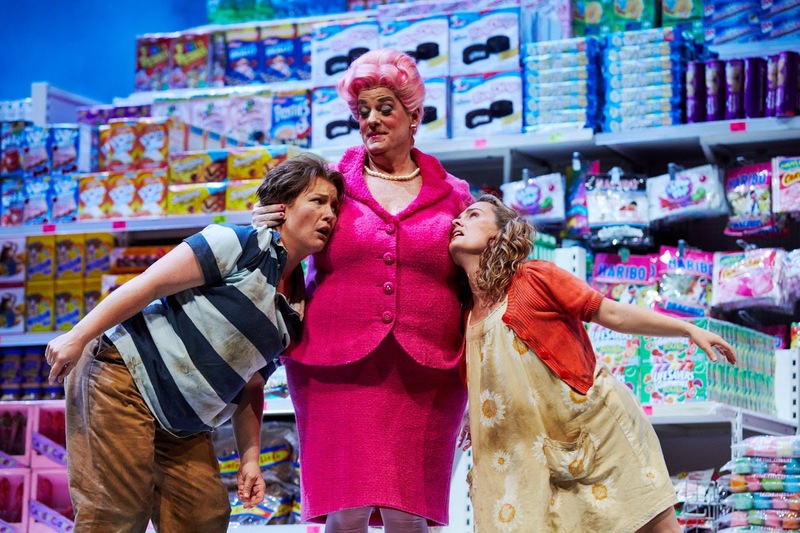 But it also presents a significant challenge considering the opera’s disturbing themes. The plot and ending are intentionally ambiguous, so the audience has to imagine their own conclusion about the horrors that Miles and his sister experienced at the hands of their caretakers when they were alive. “Miles is the primary battleground for the Governess verses the ghosts,” says Jonathan Dean, Seattle Opera Dramaturg. “He has a lot of center-stage moments, for example when he sings ‘Malo, malo' and you wonder, 'What happened to this child?'" Peter Quint and Miles from the 1961 film The Innocents based on The Turn of the Screw. The “danger” of imminent voice-change has interrupted previous The Turn of the Screw productions at Seattle Opera. One year, a Miles’s voice began cracking a week before opening, and another young singer had to be brought in from Vancouver, B.C. This time, Seattle Opera isn’t able to have a cadre of Miles singers on standby (if Der Hacopian had his way, there would be six young men waiting in the wings, just in case). 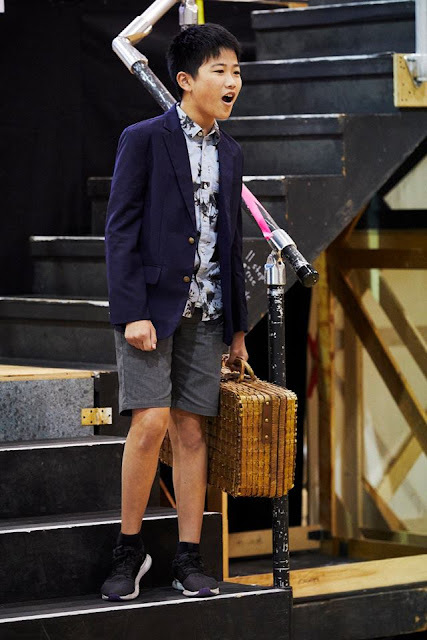 However, accomplished young artist Dominic Bennett, who sings in the Northwest Boychoir with Wu, has also been cast as Miles. Bennett will jump into today’s performance if either of the other two singers experience vocal cracking. Perhaps this is the final turn of the screw— the guessing game of working with a teenage-boy voice! Sit back, er, relax—and enjoy the wild ride ahead! Forrest Wu (Miles) and Dominic Bennett (Miles Cover) in rehearsal for The Turn of the Screw. heal from broken heart" I wish I could find the right words to say how thankful i am to this love spell caster called Dr.Unity,I'm so excited my broken Marriage has been restored my husband is back after he left me and our 3 kids for another woman..After 12years of marriage, me and my husband has been into one quarrel or the other until he finally left me and moved to California to be with another woman. I felt my life was over and my kids thought they would never see their father again. i tried to be strong just for the kids but i could not control the pains that torments my heart, my heart was filled with sorrows and pains because i was really in love with my husband. Every day and night i think of him and always wish he would come back to me, I was really upset and i needed help, so i searched for help online and I came across a website that suggested that Dr Unity can help get ex back fast. So, I felt I should give him a try. I contacted him and he told me what to do and i did it then he did a Love spell for me. 28 hours later, my husband really called me and told me that he miss me and the kids so much, So Amazing!! So that was how he came back that same day,with lots of love and joy,and he apologized for his mistake,and for the pain he caused me and the kids. Then from that day,our Marriage was now stronger than how it were before, All thanks to Dr Unity. he is so powerful and i decided to share my story on the internet that Dr.Unity is real and powerful spell caster who i will always pray to live long to help his children in the time of trouble, if you are here and you need love spell to get ex lover back forever or save your marriage fast. Do not cry anymore, contact this powerful spell caster now. Here’s his contact:Call/WhatsApp: +2348071622464 ,Email: Unityspelltemple@gmail.com ,Website:https://unityspelltempleblog.wordpress.com,your kindness will never be forgotten!. heal from broken heart" I wish I could find the right words to say how thankful i am to this love spell caster called Dr.Unity for bringing back my husband after he left me and our 3 kids for another woman Call/WhatsApp him: +2348071622464... After 12years of marriage, me and my husband has been into one quarrel or the other until he finally left me and moved to California to be with another woman. I felt my life was over and my kids thought they would never see their father again. i tried to be strong just for the kids but i could not control the pains that torments my heart, my heart was filled with sorrows and pains because i was really in love with my husband. Every day and night i think of him and always wish he could come back to me, I was really worried and i needed help, so i searched for help online and I came across a website that suggested that Dr Unity can help get ex back fast. So, I felt I should give him a try. I contacted him and he told me what to do and i did it then he did a Love spell for me. 28 hours later, my husband really called me and told me that he miss me and the kids so much, So Amazing!! So that was how he came back that same day,with lots of love and joy,and he apologized for his mistake,and for the pain he caused me and the kids. Then from that day,our Marriage was now stronger than how it were before, All thanks to Dr Unity. he is so powerful and i decided to share my story on the internet that Dr.Unity is real and powerful spell caster who i will always pray to live long to help his children in the time of trouble, if you are here and you need love spell to get ex lover back forever or save your marriage fast. Do not cry anymore, contact this powerful spell caster Dr.Unity now. Here’s his contact:Call/WhatsApp: +2348071622464 ,Email: Unityspelltemple@gmail.com ,Website:https://unityspelltempleblog.wordpress.com,your kindness will never be forgotten!. heal from broken heart" I wish I could find the right words to say how thankful i am to this love spell caster called Dr.Unity for bringing back my husband after he left me and our 3 kids for another woman.. After 12years of marriage, me and my husband has been into one quarrel or the other until he finally left me and moved to California to be with another woman. I felt my life was over and my kids thought they would never see their father again. i tried to be strong just for the kids but i could not control the pains that torments my heart, my heart was filled with sorrows and pains because i was really in love with my husband. Every day and night i think of him and always wish he could come back to me, I was really worried and i needed help, so i searched for help online and I came across a website that suggested that Dr Unity can help get ex back fast. So, I felt I should give him a try. I contacted him and he told me what to do and i did it then he did a Love spell for me. 28 hours later, my husband really called me and told me that he miss me and the kids so much, So Amazing!! So that was how he came back that same day,with lots of love and joy,and he apologized for his mistake,and for the pain he caused me and the kids. Then from that day,our Marriage was now stronger than how it were before, All thanks to Dr Unity. he is so powerful and i decided to share my story on the internet that Dr.Unity is real and powerful spell caster who i will always pray to live long to help his children in the time of trouble, if you are here and you need love spell to get ex lover back forever or save your marriage fast. Do not cry anymore, contact this powerful spell caster Dr.Unity now. Here’s his contact:Call/WhatsApp: +2348071622464 ,Email: Unityspelltemple@gmail.com ,Website:https://unityspelltempleblog.wordpress.com ,your kindness will never be forgotten!. The boys will be great actors! Thank you for sharing the post!